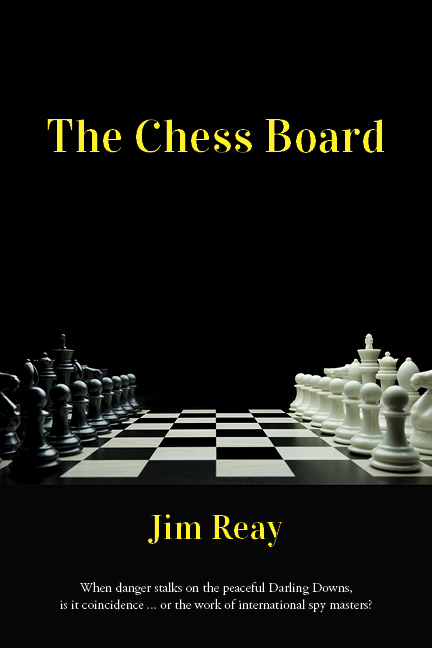 Read the first two chapters from The Chess Board in downloadable PDF format. No moisture left for tears. Very slowly her heartbeat steadied and the sharp sadness soothed into a dull oppressive ache. The cold Friday breeze rolled fragile autumn leaves across the roadway as she left the terminal building. Cambridge academic, Dr Spencer Avery, arrives in Toowoomba in 2008, both to flee a strained romance in England and to bring his expertise to ‘the colonies’. His arrogant preconception is challenged by the wit and idiosyncrasies of rural Queensland. But, behind the new experiences, danger lurks. The Chess Board weaves strands of Australian, Russian and European history into an intriguing question of … coincidence or conspiracy? It explores social convention by contrasting the humour of unique characters with the gravity of crime, guilt and redemption. Aboriginal Elders and street people are key players. The subtle messages of tolerance and belonging will make you question your own beliefs. This is a novel that makes you think!